In the FIre Service, we often speak of the 5 E’s of Community Risk Reduction. 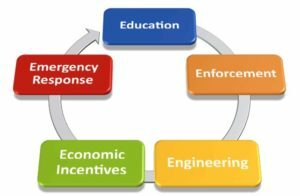 The 5 E’s are Education, Engineering, Enforcement, Economic Incentives/Disincentives, and Emergency Response. 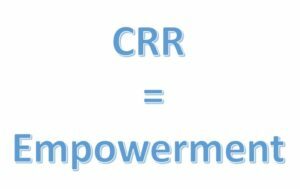 These 5 E’s form the foundation by which we plan, establish, and measure our CRR activities and programs. Each of them is valuable and essential to a successful program. Should We Consider Another E? Take a look at the definition of empowerment below. It gives us some great examples of what empowerment can be for both individuals and groups. I want us to look at the statements in bold above in two lights. The first way is to look at it from the perspective of those who live, work, and play in your community. The goal of our Community Risk Reduction programs should be to encourage them to take a larger roll in their safety, security, and preparedness. A fire department or other emergency services or government entity cannot do everything for every member of their society. We need to teach, model, and assist everyone to be self-reliant. We do this in many, many ways and each community is different. The second way I want us to look at these statements in bold is from the perspective of the employees within our organizations. We need to empower them to reduce the risk in our communities. Give them the tools, support, and the authority to make a difference. Encourage them to open their mouths to the public. Encourage them to identify risks and come up with ways to reduce them. Give them the authority to lead and teach the community. Should we have structured programs, yes! We also need to allow our people to take these opportunities upon themselves to make a difference. Each station first in is different and the captains, lieutenants, engineers, and firefighters who work those areas know that. Allow them to make a difference at their levels in their first in. Below are examples of CRR at the station level which includes working with outside resources. If a station first in has a large homeless population. They should be allowed to reach out to law enforcement, code enforcement, religious institutions, shelters and any other resources they may need to get the correct help to those in need. If they have a large number of Skilled Nursing Facilities. Allow them to reach out to them for training and conflict resolution. They may have a large number of immigrants in their area. This is the perfect opportunity to reach out to the local businesses who support these communities. Also to their common religious institutions to earn trust, build relationships, and teach these communities the safety information we have. When fire crews are in the homes within their area due to minor medical calls or other calls for service, this can also be a perfect time for the crews to utilize a Virtual CRR Home Safety Assessment. Any time we can empower someone to, “act on their own authority,” it will reduce the risk to our community. Self-awareness, preparedness, knowledge, skills, and abilities of those who work in emergency services can truly be used to reach out to our citizens for them to make a big difference in our community. Brent Faulkner MAM, FO is the CEO of Virtual CRR Inc. 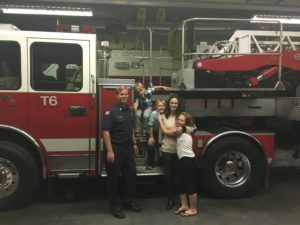 He has 22 years of experience in the fire service. He has also served on a Type 1 Hazardous Materials Response Team for 16 years. Brent had a defining moment in his career which, as a result, lead him to create Virtual CRR. This also fueled his passion for Community Risk Reduction. He led a team in critical infrastructure protection (CIP) at a recognized Department of Homeland Security (DHS) Terrorism Fusion Center. This team was responsible for increasing the safety of critical infrastructure. Especially as it relates to terrorism, general security, and natural disasters. He has a master’s degree in management and a bachelor’s degree in occupational studies. He also has an associate’s degree in hazardous materials response, and another in fire science.